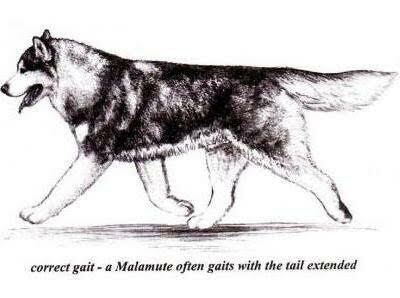 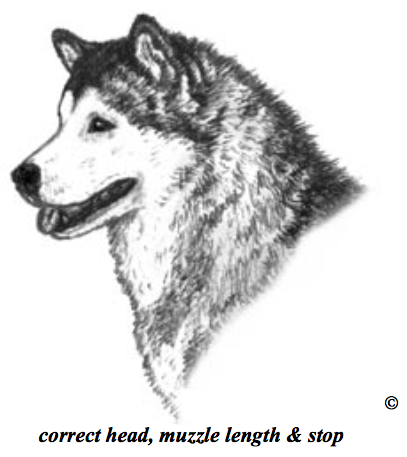 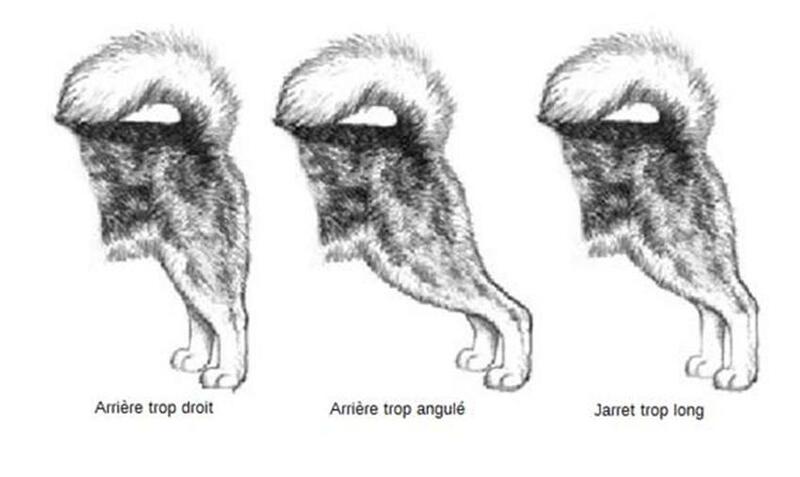 Important - In judging Malamutes, their function as a sledge dog for heavy freighting in the Arctic must be given consideration above all else. 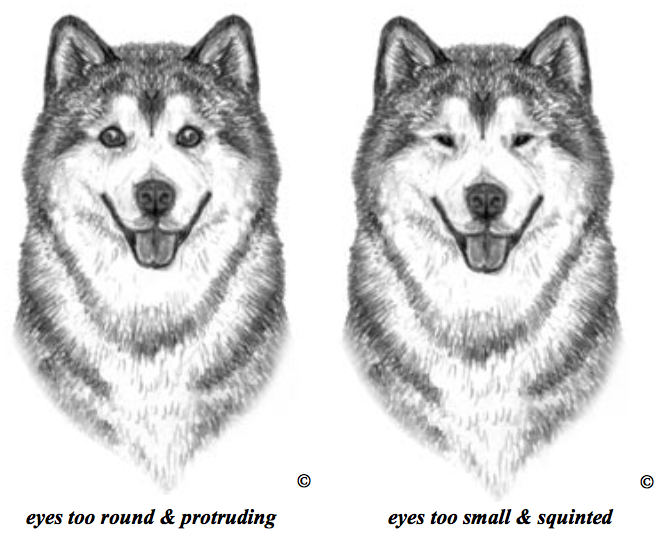 The degree to which a dog is penalized should depend upon the extent to which the dog deviates from the description of the ideal Malamute and the extent to which the particular fault would actually affect the working ability of the dog. 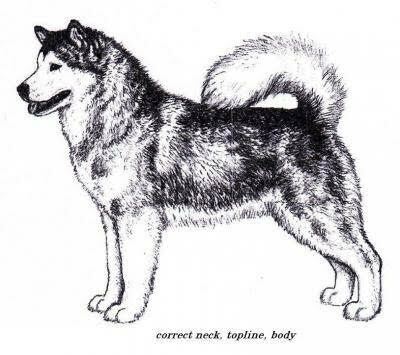 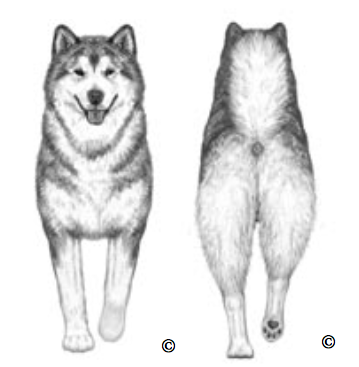 The legs of the Malamute must indicate unusual strength and tremendous propelling power. 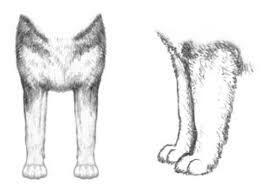 Any indication of unsoundness in legs and feet, front or rear, standing or moving, is to be considered a serious fault. 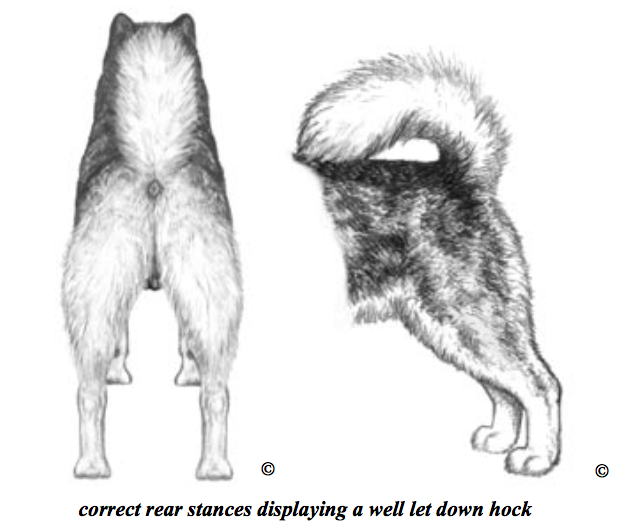 Faults under this provision would be splay-footedness, cowhocks, bad pasterns, straight shoulders, lack of angulation, stilted gait (or any gait that isn't balanced, strong and steady), ranginess, shallowness, ponderousness, lightness of bone, and poor overall proportion.